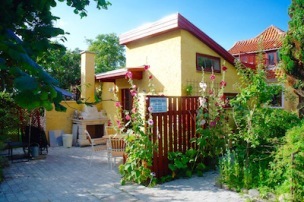 rooms Gilleleje From Smáttan B&B is a couple of minutes walk to the beach. There is the active fishery harbour of Gilleleje with shipyard. A charming small town atmosphere among the old thatched roofs of Gilleleje and many restaurants and cafés in all price ranges. rooms Elsinore Bed & Breakfast Hotel Skandia Elsinore is located in the heart of Elsinore, with a number of attractions within minutes. rooms Gilleleje Panoramic view from the garden overlooking The Sound, Kattegat and Kullen in Sweden. We are located 2 km. from the town of Gilleleje and 45 min. drive from Copenhagen. The beach is right below the cliff. rooms Hundested Two bed-roomed flat with panoramic views over the sea and estuar in beatuiful Nordsjælland. rooms Hundested Hundested Harbour cabins have a location directly next to the pier, a great view of the old fishing port and Isefiord. In the morning, landing boats day's catch of fresh fish and mingle with guest sailors who enjoy the fascinating harbor life. rooms Hoersholm The beauty of North Zealand farmhouse nestled between Hørsholm and Allerød, in between everything. rooms Hilleroed We are a nice and cozy bed and breakfast in the centre of Hillerod. Our cabins and rooms offer you the best experience the area has to offer. We are placed in the middle of the Hilleroed city center, excacly 2 minutes from shopping and 5 minutes to the castle. rooms Gilleleje Have the desire to stay in the country a few days or maybe a week, so there is the possibility of Smidstrup farm. The kids will love it and parents have the opportunity to relax and enjoy the beautiful scenery. Beautifully renovated annex building with all facilities. 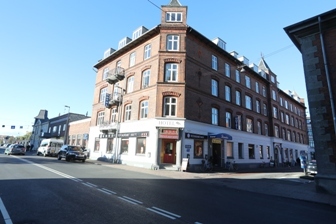 rooms Hornbaek The property Drachmanns Memorial is located in a rural location 5km. from Hornbæk. rooms Skibby Genuine rural idyll close to good restaurants, historic sites, exciting business opportunities, small harbor - located in the stunning scenery.